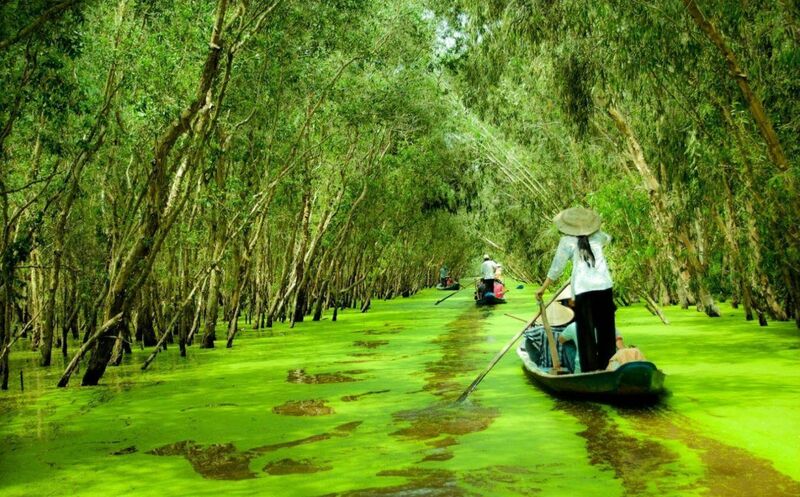 Overview: About 50 km southeast of Ho Chi Minh City, the Can Gio Forest was recognized as the first mangrove biosphere reserve in Vietnam by UNESCO in 2000. Covering an area of 75,740 ha, this area is a lively world of diverse flora and fauna which has inspired biologists and nature lovers alike. Monkey islands: a hundreds of monkeys are waiting for feeding by tourists. Crocodile farm: enjoy the farm where dozens of crocodile raised in swarm The mangrove Sac forest: the formal revolutionary base of the guerillas in VN war.